Why do lawns need Aerating and Scarifying? The secret behind a perfect lawn lies in the soil. If you have good soil conditions then you will get good root growth, which leads to healthy grass. Roots need air to breath and air space to grow into. Without these air spaces water can’t drain away so the roots drown, resulting in thin stunted roots and a poor looking lawn. Aeration is the process where the lawn is opened up to allow air, nutrients and water to penetrate the roots, which results in a stronger and deeper growth. Our lawns collect lots of dead matter such as dead grass and moss throughout the year. 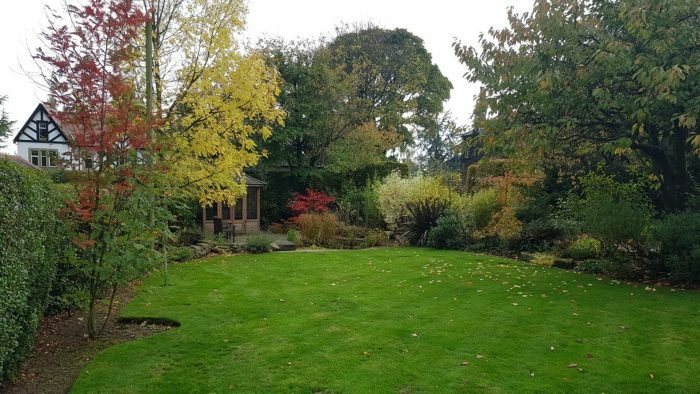 Having your lawn scarified at least once a year during either Spring or Autumn will help get rid of most of the dead matter and moss in your lawn. This will allow air and moisture to get down to the roots, helping revitalise your lawn. After Scarifying your lawn it can look quite unsightly, however please be assured this is only temporary! For the best results we need to get out as much dead matter and moss as we can, then your lawn is given the best chance to grow back even healthier and stronger than before. After scarifying, soil can sometimes be left exposed, this is the perfect time to over seed your lawn. Depending on the weather your lawn may recover in roughly 4-6 weeks, but sometimes it can take longer. 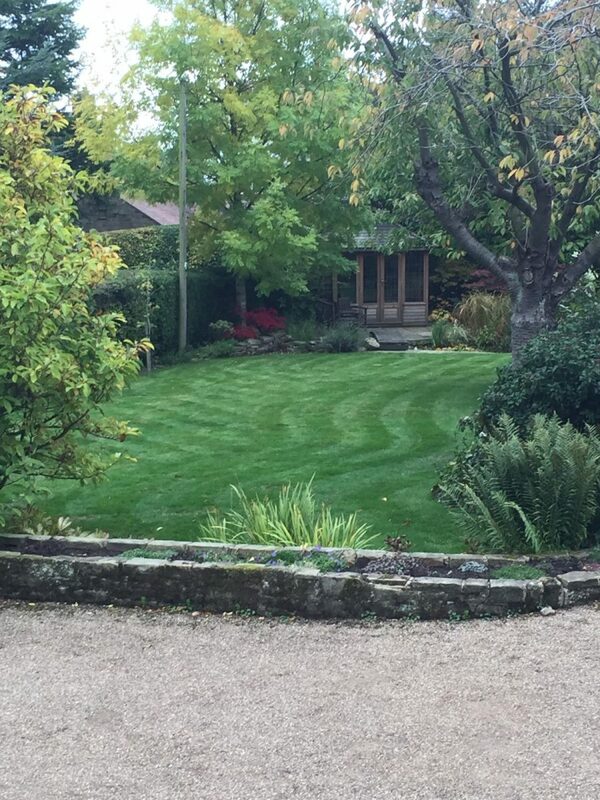 Below are two photos of a customers lawn that I aerated and scarified in September. 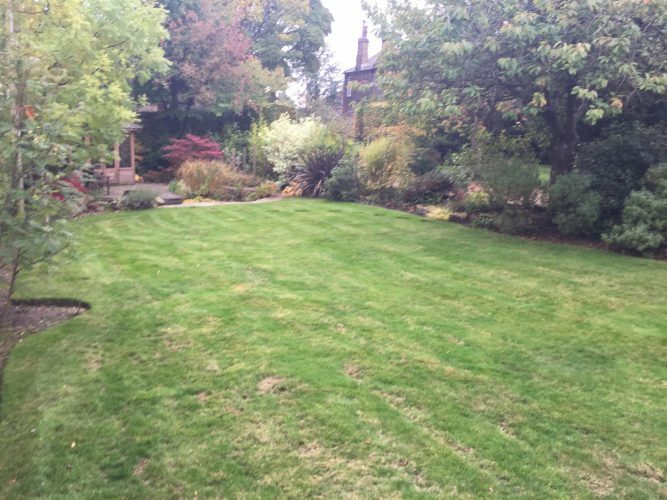 Photo 1: The lawn after it had been aerated and scarified, as you can see it is looking rather patchy and unsightly. – Please be assured this is temporary! Photo 2: Roughly 6 weeks after Scarifying and Aerating with a Feed and Weed application on too. The lawn has nearly all grown back and is looking very healthy indeed! Aerating and scarifying lawns is essential to creating a beautiful healthy lawn. Having completed most of the aerating and scarifying jobs for this year, I’m looking forward to returning to my customers with their next treatment in November and seeing the results!